The trains from the Deutsche Bahn are approaching Oberstdorf on a regular basis from there visitors can take the bus to reach the base on the Kornau-Wanne 8, 87561 Oberstdorf and change to the Söllereckbahn. The train is directly going to the climbing forest. The parking at the base are directly accessible by car. At the base on the Kornau-Wanne 8, 87561 Oberstdorf the Söllereckbahn is directly going to the climbing forest. An other option is to drive to the central bus station in Oberstdorf and then take the Söllereckbahn. The line 1 of the Walserbus is connecting the Obersdorf bus station (Obersdorf Busbahnhof) and the Söllereckbahn. In only a 6 minute ride, the station can be approached and from there the Söllereckbahn is going straight to the climbing forest. From many German and European cities the Allgäu Airport can be reached by plane. A shuttle bus connects the airport with the surrounding valleys. Base station of the Söllereckbahn is the starting point of a wonderful hike up to the climbing forest. If the weather is right and take a walk up the hill, the hike itself takes about 1,5 hours. The climbing forest is located directly opposite the mountain station Söllereckbahn. Germany's highest climbing forest can be found in Oberstdorf. Söllereck has ascending levels of difficulties, which are supervised by professionals. This is definitely a place, where limits can be experienced. At the height of 1400 meters lies the highest ropes course in Germany. The climbing forest Söllereck (Kletterwald Söllereck) with seven different courses can be reached quickly and easily with the Söllereckbahn. The views of the Allgäu Alps and down to the city Oberstdorf are spectacular. The particularly gentle tree built climbing forest boasts a beautiful facility and offers spectacular adrenalin experiences. The climbers have to overcome six to nine elements with ascending levels of difficulty per course. Of course, there is a briefing by professional instructors. The participants can choose their activities in the climbing forest freely and are secured with harness and carabiners. Also very simple climbing elements are available, which are from close to the ground up to an airy cables-stayed bridge up to a height of 15 meters. The operation is performed according to this standard, which guarantees the highest level of quality for the safety of guests. Kletterwald Söllereck is an experience for the whole family. After an exhausting day at the climbing forest, there is a lot to discover in the area around the forest. The "Moorbad" offers especially for families and children all around secure bathing only 20 minutes away from the climbing forest. Through the self-cleaning capacity of natural water the mud bath, unlike most other outdoor pools, without chemical additives. It is the only outdoor pool with conservation in this area.From May to September when the weather is dry the opening hours are from 10am-7pm and in July & August from 9.30am-8pm. The "Oberstdorf Therme" 15 minutes away with the car, are offering a spa and wellness for body and soul. The bathing world of Oberstdorf spa creates a holistic well-being. In the spacious sauna area with sauna cabins in alpine style, visitors will be spoiled with vitalizing infusions. There are a lot of highlights within the spa, such as steam rooms, plunge pool and a large hammam. Enjoy a wonderful day at the spa after an exhausting active day at the climbing forest. The area in Oberstdorf is very famous for their hiking trails. Breathe the fresh mountain air and explore the beautiful nature landscape. The hiking trails are up to 200 kilometers long. With the 400 peaks close by, multi-day trekking, climbing and mountain tours are tempting. On the website, a variety of difference hiking tips is offered http://www.oberstdorf.de/en/hiking/. This 5-star holiday home is located in a quiet side street in the ski resort of Oberstdorf. Franks Ferienchalet offers elegant accommodation with a traditional tiled stove and a private 50m² spa area with sauna and power shower. Featuring a spa area and free Wi-Fi, this hotel is quietly located just 5 km from the Austrian border in Oberstdorf. 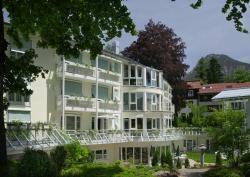 Each apartment has a balcony or terrace offering views of the surrounding Allgäu Alps. This 5-star hotel in the Allgäu holiday resort of Oberstdorf offers a 4,000 m² garden with new (2013) indoor and outdoor swimming pools, exclusive spa facilities in Alpine style, and 2 restaurants serving creative cuisine.